I started wearing glasses when I was thirteen. I remember trying not to laugh in the face of the optometrist when he was shining a light right into my eye. Technically, he said, I didn’t need to wear glasses all the time. Just when I was reading, watching television or looking at anything far away. Right then. So, basically, all the time. Looking back at the last twenty years of my spectacles-wearing life, I’ve realised that my relationship with glasses has been tumultuous. I have lost numerous pairs — part carelessness, part abandonment. You’ll find that most of my complaints in this piece are my fault, but bear with me and my millennial temperament. Let’s begin with aesthetics and vanity. Glasses can change how you look. Sure, this might be for the better, in some cases, but they are still an obstruction on one’s face. Can you really see a person’s eyes through frames? When one meets people for the first time, should one wear glasses or not? Does it change people’s impression of you? Don’t get me started on maintenance. Every time I bend down to pick something, my glasses fall off my face. I have marks on the bridge of my nose because of the pads. And cleaning glasses is a real pain. I’ve been talking about someone inventing glass that doesn’t smudge for years. It’s such a simple concept that I think could potentially change the world. The answer for many is to get lenses or get the laser surgery. Unfortunately, for me, and the kind of stigmatism I have, both options wouldn’t work. Despite that there are many people who can get the operation or wear lenses and choose not to. Contact lenses are weird. You’re putting something in your eye. And it stays there all day. As for the operation: not so much weird as much as it’s potentially too futuristic for me and also I would be scared. I know of a few people who have had unpleasant experiences with the operation. Let’s not go there. At least I’m not the only one dealing with these first world problems. 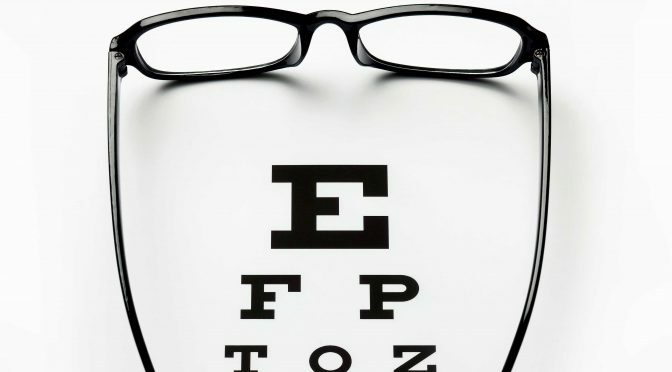 According to research, 50 per cent of the world’s population may need to wear some form of glasses or corrective lenses. To me, that really begs one question. Apart from my own love-hate relationship with glasses, if almost 50 percent of the world’s population is wearing or will need to wear glasses, why has the world not embraced glasses as not only the norm but also the cool? Referred to as an art, the first eyeglasses were lenses mounted on frames that were held up manually or worn on the nose. These frames were made of natural materials like wood, copper, leather and bone. They were ornate, beautifully crafted objects. Glasses during those times were for the rich and intellectual. They were an indicator of status. Glasses existed for a long time on the edge between ultimate sophistication and weakness. Wearing glasses could make you look smart. Or, they were a sign to the world that you were weak, old or had inferior genes. Time progressed and glasses became more mainstream. I blame the likes of Steven Urkel from Family Matters, the American sitcom that premiered in 1989, for the damage he did to the spectacles-wearing community. Wearing glasses automatically meant you were a nerd. They were uncool. By default, this made intelligence far from trendy. Urkel may have been a big influence on this mainstream view of spectacles, but if we look deeper into how pop culture has depicted spectacles, it’s clear they weren’t desirable. Clark Kent is only his real self, his best self, a superhero when he takes his spectacles off. With them on, people might never have acknowledged him. In many movies, a female lead’s transformation from ugly duckling to beautiful and desirable only happens when her glasses are removed. How often have you seen an actress or supermodel on the cover of a glossy magazine, as part of a perfume or make up campaign wearing spectacles? But are things changing for us spectacles-wearing people who have never felt accurately represented in the media? Over the years, more and more people have become comfortable wearing glasses — even when they don’t need them. Wait, what? Glasses are cool? A fashion accessory now? How did that happen? I guess all the Steve Urkels grew up to be designers, animators, film makers, game designers, influencers, models and actors. Also, the fashion world finally got the memo. In the season of autumn/winter 2015, Gucci and Max Mara sent spectacle-wearing models down the runway while Prada and Chanel’s eyewear campaigns, starring Gemma Ward and Kristen Stewart respectively, were majorly publicised. We also need to credit J.K Rowling. Infamous round spectacles belonged to the greatest fictional heroes of our generation, Harry Potter. There have been other cool people wearing spectacles: Elton John, John Lennon, Steve Jobs, Audrey Hepburn in Breakfast at Tiffany’s, Bryan Cranston as Heisenberg in the show Breaking Bad — all of them together creating the perfect storm and helping elevate the estimated global market of spectacles to reach 140 billion by 2020. Today, it seems glasses are not only on your face but they are also in. That’s all great and everything, but can someone help me figure out how to keep my spectacles smudge free? Previous PostI don’t stand a chance with Dubai’s Fitness ChallengeNext PostHow Serena Williams is both right and wrong?